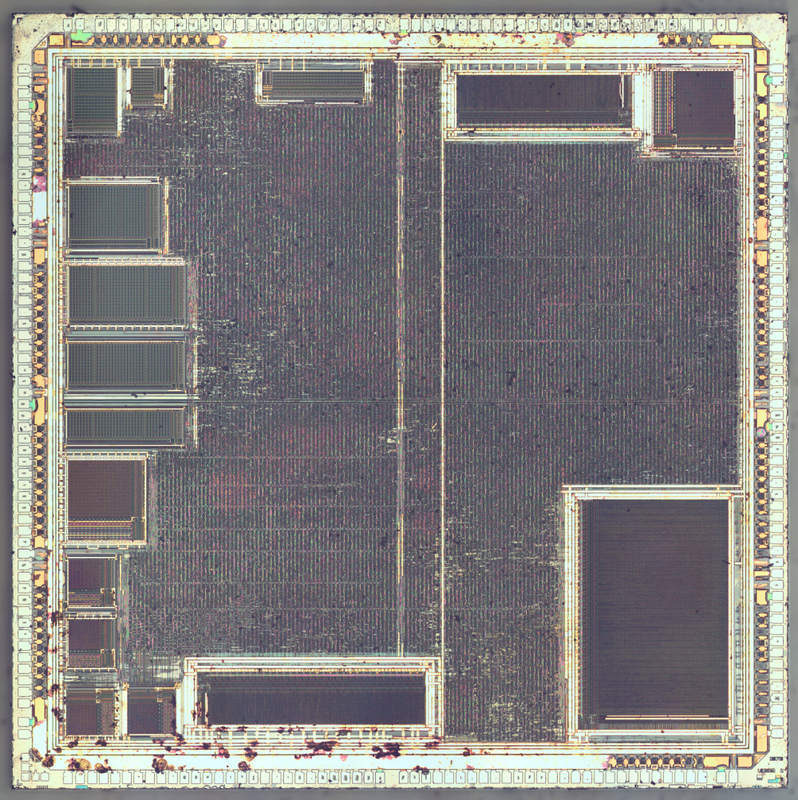 Playstation 1 CPU - CXD8530CQ based on 33.8688 MHz MIPS R3051 core manufactured at 800nm technology, 3 layers of metalization. 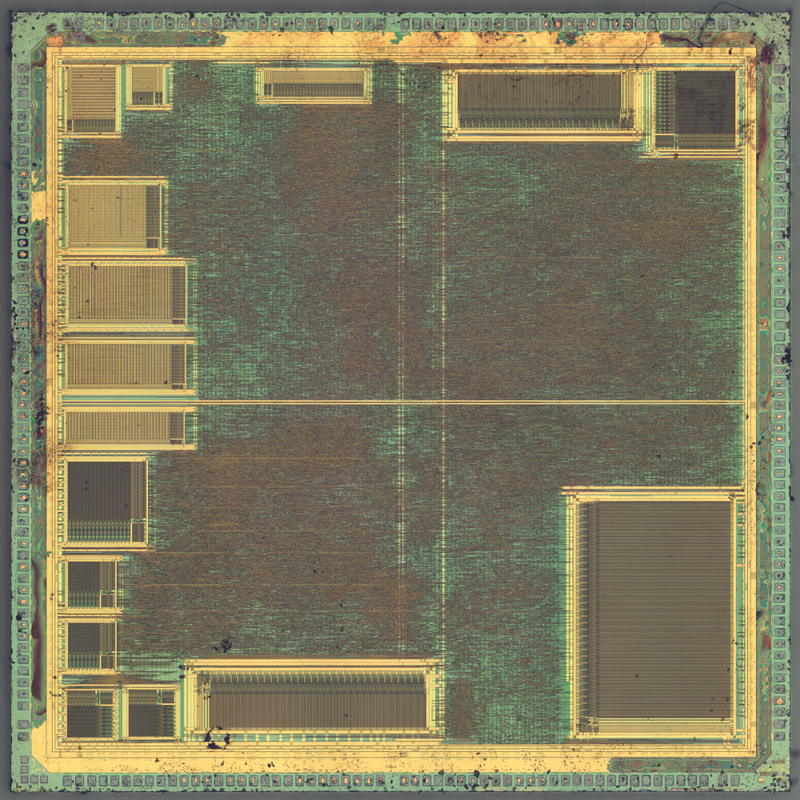 CPU designed by LSI Logic Corp. Die size 8.15x8.1 mm. 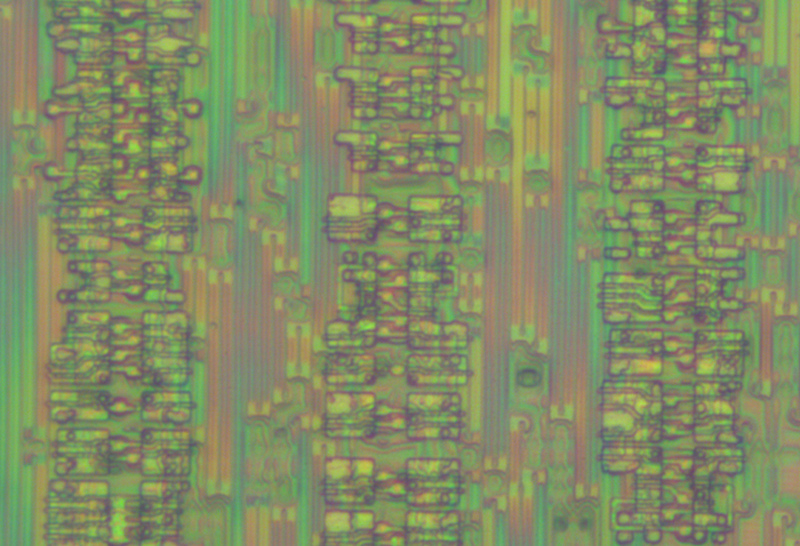 You can notice that there is some space between cell columns - apparently 3 layers of metalization is not enough to place&route this chip denser. We decapped this chip for a group of insane russian enthusiasts who are working on recovering schematic of all main Playstation 1 chips in order to build perfect simulator. Website of the project is psxdev.ru (russian language only).